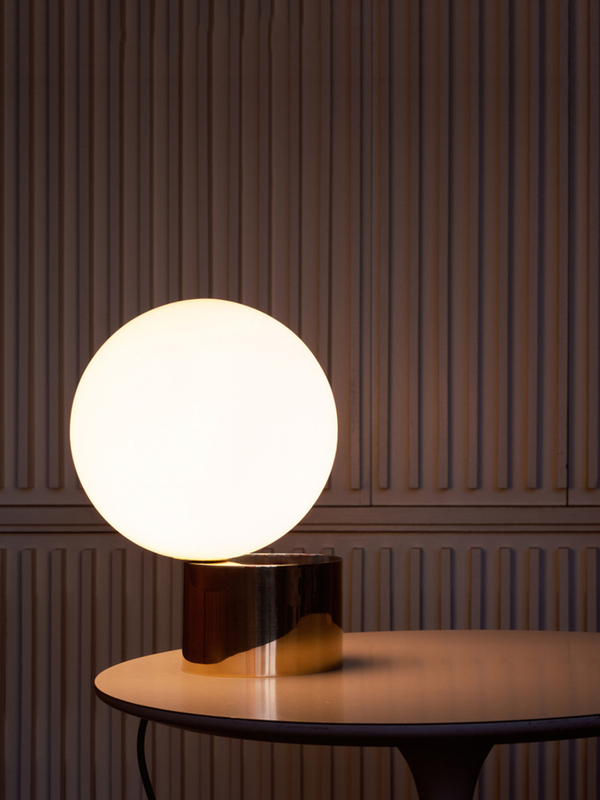 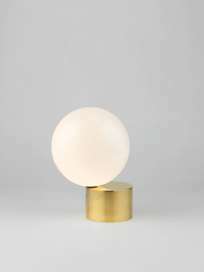 The Tip of the Tongue light, a finely crafted table fixture from Michael Anastassiades, is made with mouth-blown opaline glass, which is formed into a sphere, and placed atop a polished brass base. 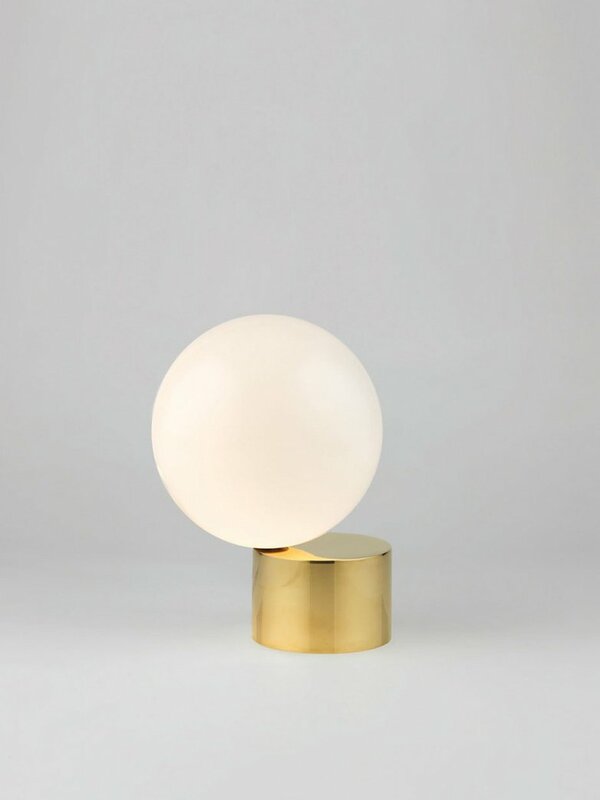 Michael Anastassiades launched his studio in 1994 to explore contemporary notions of culture and aesthetics through a combination of product, furniture and environmental design. Positioned between fine art and design, his work aims to provoke dialogue, participation and interaction. 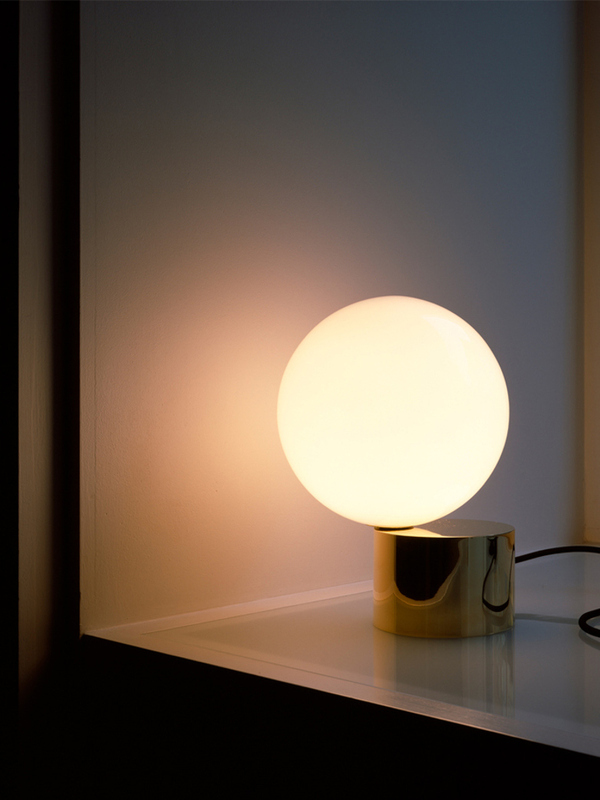 He creates objects that are minimal, utilitarian and almost mundane, yet full of vitality one might not expect. 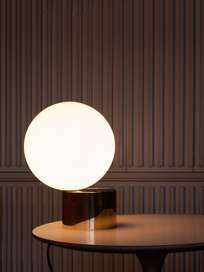 Anastassiades’ work is featured in permanent collections at the Museum of Modern Art in New York, the Victoria and Albert Museum, London, the Craft Council in London, the FRAC Centre in Orleans, France, and the MAK in Vienna.